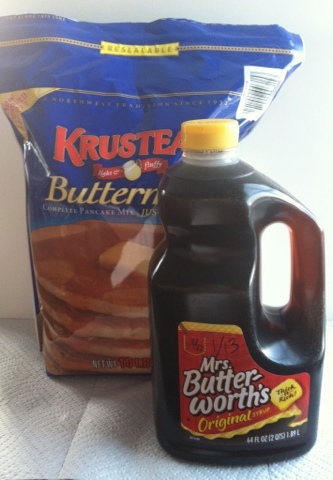 This week our food storage focus is pancake mix & pancake syrup. My son comes home from his mission in 17 days :-) and my daughter just started her mission papers. You may not hear much from me over the next few weeks, but I will try to get some posts out as I can. Remember, your food storage should consist of shelf-stable foods. What we store in our 3-month supply (STEP 1) is everyday foods or short-term storage foods which have an approximate range of 3 month - 10 year shelf-life. What we store in our long-term supply are foods that have a 20 to 30 year shelf life. Don't consider what's in your refrigerator or freezer as this type of storage, because it could be gone quickly with a 24-hour power outage. However, we all buy perishable foods and can continue to purchase them and inventory them. Hope that all made sense. STEP 1: 3-Month Supply (per adult) - Pancake mix: 2 lbs. AND Pancake syrup: 32 oz. Why? : Pancake mix and syrup are an easy prep meal. Definitely convenience foods for those who don't make them from scratch. If you do make pancakes from scratch, store an equivalent amount of ingredients. You could also store real maple syrup or agave nectar. The choice is always yours. Tip: Costco sells 10 lb. Krusteaz pancake mix for $6.40 and Sam's Club sells 10 lb. Daily Chef pancake mix for $6.00. I picked up 2 bags of pancake mix and 2 containers of syrup last week. Home Storage: Toiletries Group 2 (per adult) - Dental floss 3 ea. How: Gather a few family favorite recipes, type them up and store in a binder or recipe card file. Focus on those recipes that use as much shelf-stable ingredients as possible such as pancakes, waffles, oatmeal, granola, muffins, sweet rolls, and crepes. 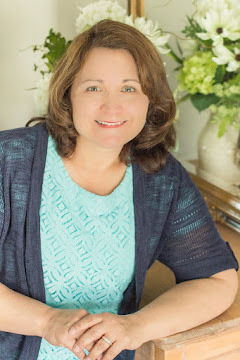 Look for ideas at My Food Storage Cookbook, The Prudent Homemaker or just about any of your favorite sites. Tip: NOAA radios continually broadcast "weather service warnings, watches, forecasts and other hazard information 24 hours a day, 7 days a week." NOAA stands for National Oceanic and Atmospheric Administration. I have one of the buttons on my car radio always set for the station in my area. For a list of stations, go here. Do not rely on the internet to receive watches and warnings unless you have a backup power source. A radio costs about $30. Check out some of the new apps as well. How: Go through your supply of these items. Count, organize, and use those close to their expiration date. Toss dented or torn container items. Mark what you have on your inventory list. Good luck on your weekly goals. You CAN do it! Here is the printout of the February 2013 Food Storage list. Thanks for the link to the NWS. I'm figuring out my radio and this was very handy to find the frequency our station is on.